ItemA-00997 - Reverend George Andrews; former army chaplain, rector of St. Mary's Church in Oak Bay. ItemA-02367 - Samuel Nesbitt, biscuit maker to navy in Esquimalt; arrived in Victoria in 1858. ItemA-03815 - Hydraulic mining at Big Bend. ItemA-01976 - Mrs. Edgar Crow Baker, nee Fannie M. Jones; first wife of Edgar Crow Baker. ItemA-01484 - Walter Moberley and the Canadian Pacific Railway Geological Survey Party in Victoria. ItemB-00618 - On board the SS "Saucy Lass". ItemB-00935 - William Anderson, brother of A.C. Anderson. ItemA-01826 - Josette Work, of Hillside Farm, wife of John Work, Hudson's Bay Company. ItemA-02833 - Lady Douglas, nee Amelia Connolly. Item A-01484 - Walter Moberley and the Canadian Pacific Railway Geological Survey Party in Victoria. 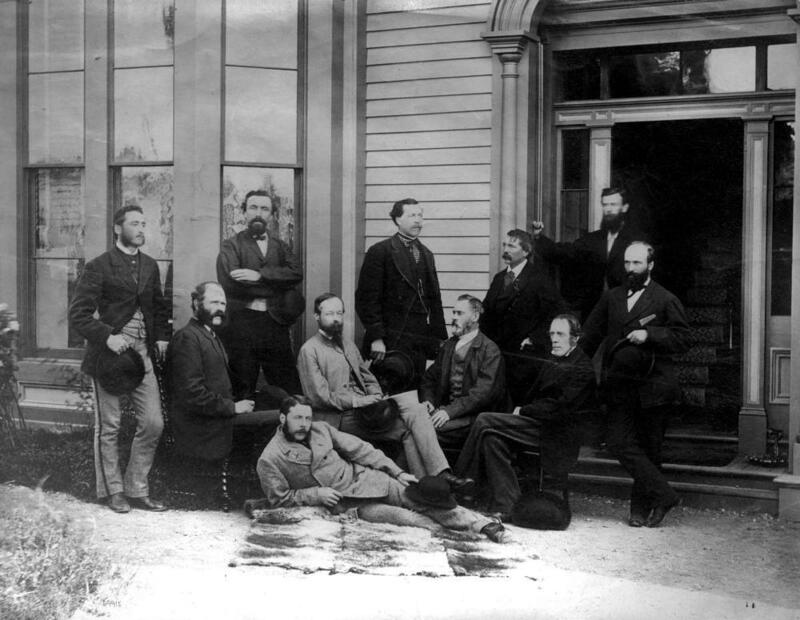 Walter Moberley and the Canadian Pacific Railway Geological Survey Party in Victoria.